It doesn’t matter when you are reading this – the answer is now! 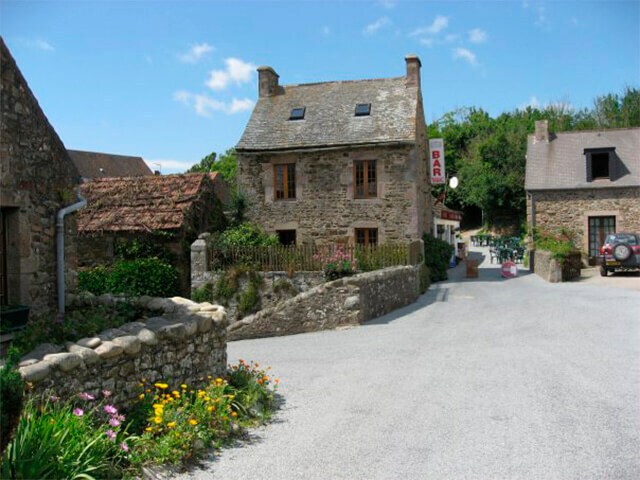 Exchange rates and prices fluctuate but there is always a deal to be done in this beautiful area of France, where prices remain significantly below that of a modest semi in most parts of the UK. For a more in-debth chat about timing please contact Suzanne in France. When is a good time to sell my French property? Different rules apply to main residences in France and holiday homes in terms of Capital Gains Tax. In an ideal world, there is an argument to keep your holiday home for over 30 years to avoid paying any Capital Gains Tax to the Government, but at all times and however hard the market is, a competitively priced property will always sell. There are really no “off” seasons for selling your property now as many serious buyers will choose to come and view properties in the darkest, coldest months. I don’t speak French – will this cause problems when buying? A limited knowledge of French may be worse than none at all, as it may give you a false sense of security. Unless you are fully confident that you know what is being said, it is wise to get assistance with translation. At Suzanne in France we are fluent French speakers and we consider it part of our service to support you throughout the process, assisting with translation and interpretation whenever the need arises and providing a Court-Sworn Registered Translator for your completion appointment. Can I move to France permanently? There are currently no restrictions to EU citizens moving to France but if you are planning to be in France for more than 183 days a year you will need to make a decision, with the help of a financial or legal adviser, about where to be fiscally resident (ie. for tax purposes). At the moment clients living in an EU country do not need a visa to come to France. If you currently live outside this area you must apply at the French embassy or consulate in your country of residence before travelling. While Brexit vote has inevitably caused some uncertainty, so far this has had little, if any, discernible impact on the number of Brits looking to buy in France. As always at Suzanne in France, we make it our business to stay up-to-date with all the latest developments impacting the property market, especially those affecting our British clientelle. For an expert view on developments as they happen, follow us on Facebook. What legal fees will I pay? The legal fees and taxes in connection with purchase are not inconsiderable, so you need to ensure you budget for them in the total purchase costs. Suzanne in France can provide a general guide to the levels of fees you can expect to pay. Please contact Suzanne for more information. A notaire or notary is a public official who works in all areas of the law, including property, and who draws up authenticated contracts on behalf of his clients. Who pays the estate agency fees? In France it is usually the buyer who pays the estate agency’s fees. See our fees for details. There are also the notaire’s fees to consider. Suzanne in France can recommend notaires and simplify any contact you need to have with them. A property survey is not obligatory although if you are buying with a mortgage a basic mortgage valuation may be required. The Compromis de Vente has several annexes amongst which are the diagnostic reports which are a legal requirement. Tests are for asbestos, lead in paintwork, the electrical and gas installations, an energy performance test and a report on the septic tank. If you would like a full structural survey Suzanne in France will be happy to put you in contact with a RICS British, French registered Chartered Surveyor. You may decide to do a new-build or ask a new homes builder to construct a property for you. Any parcel of building land should have a valid Certificat d’Urbanism Opérationnel (Outline Planning Consent) in place when you complete your purchase. You may choose an individual building plot, in which case you need to check how much it will cost to you bring electricity, water and drainage to the property or a plot on a lotissement (small housing estate) which is likely to have services in place. It is a legal requirement in France that your property is insured. During your completion appointment the Notaire will ask to see proof of insurance – an attestation. Insurance in France usually includes Public Liability but does not cover accidental damage. Price wise it is usually less expensive than in the UK. Please ask Suzanne in France to obtain a quote for you. Beware of buying a property where the house, land or both are tenanted. French law seems to favour the tenant and you may find that you have less rights over your property than the French farmer who has had his cows in the field for the last 10 years! There are safeguards that can be put in place before completion. Please ask Suzanne in France. You will not be required to submit a French Tax Return unless you are fiscally resident in France. If your income is from a UK pension and you are living full time in France then you can become tax resident here and declare your pension with or without tax paid at source. Careful consideration is required regarding fiscality so please ask Suzanne in France to recommend a trusted Financial Advisor who can give you the correct information based on your personal situation. You will need to set up a French bank account for any direct debit payments for your bills in France. Your initial deposit and purchase monies can be sent directly to the Notaire’s account but you will require an account when you complete your purchase. Please ask Suzanne in France for a recommendation for a local, English speaking bank when you know where you are going to buy your property.